Those of us who have taught LifeSteps® know the program works! Our participants know the program works! And now, we have newly published data that shows LifeSteps® works! 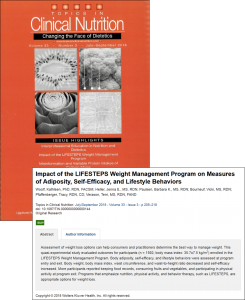 The study was published in the July/September 2018 Topics in Clinical Nutrition: “Impact of the LIFESTEPS Weight Management Program on measures of adiposity, self-efficacy, and lifestyle behaviors” by Woolf, Kathleen, PhD, RDN, FACSM; Heller, Jenna E.,MS, RDN; et al. The study evaluated measures of adiposity, self-efficacy, and lifestyle behavior in 1592 participants from 13 states enrolled in LifeSteps®. Special thanks to Kathleen Woolf, PhD, RDN, FACSM. Dr. Woolf is an associate professor and director of the nutrition PhD program at New York University; and previously an associate professor in the Health Sciences department at Arizona State University. LifeSteps® is a behaviorally-based lifestyle change program that can enhance your practice. Click here to learn more about LifeSteps®. Mean weight, BMI, waist circumference and waist-to-height decreased significantly between the initial and final assessments for those completing the LifeSteps® program. Participants reported greater self-efficacy for weight management and physical activity upon completion of the program and self-efficacy was positively associated with percent weight-change. After completing LifeSteps®, 754 participants completed the post-assessment questionnaire and identified three behavior strategies most helpful for weight management from a potential list of 15. Responses were analyzed for three groups based on the amount of weight lost. 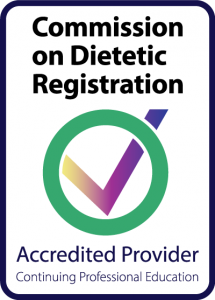 The top five selected overall were ‘keep food records’ (n=480 [63.7%]), ‘measure serving sizes’ (n=303 [40.2%]), ‘do aerobic exercise’ (n=300 [39.8%]), ‘record calories’ (n=297 [39.4%]), and ‘eat a variety of foods’ (n=192 [25.5%]). 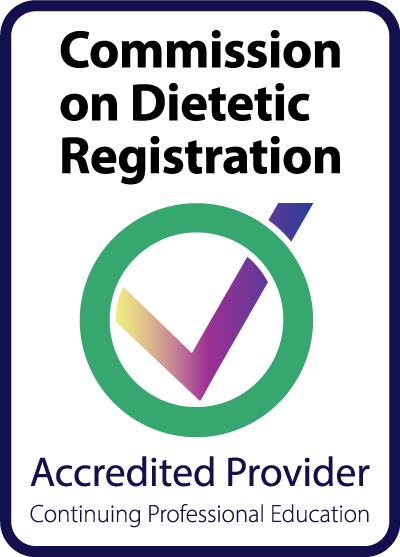 The complete study can be obtained through Topics in Clinical Nutrition website. If you’re not teaching LifeSteps®, you’re missing out on a valuable tool. Find out how this program can help you boost your business, and help your clients change their lives.